LISC Jacksonville celebrated their 10th anniversary in Jacksonville in 2008. During their year-long celebration of helping neighbors build sustainable communities, they sponsored a photo contest for children who lived in the neighborhoods LISC helps support. With this annual report, the winning photos were highlighted and laid out scrapbook-like style to help tell the story of LISC Jacksonville. The photos were treated with a gloss varnish over a silk sheet. This book won a local silver ADDY award (Nonprofit). 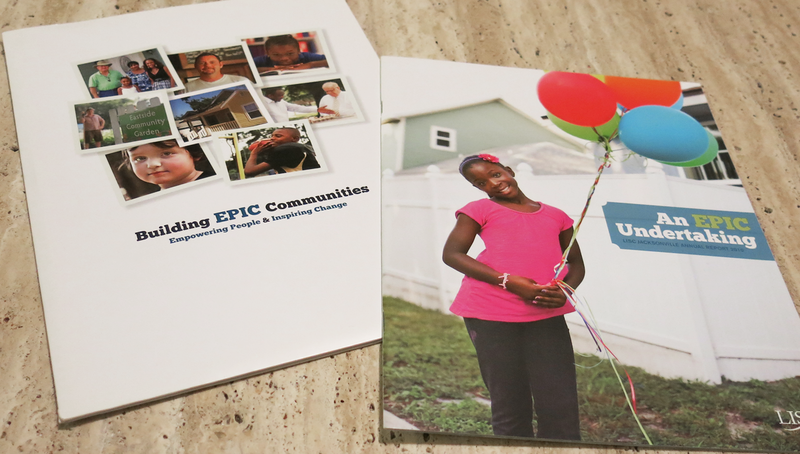 This second annual report & folder shown were created in 2011 to introduce the client’s new “EPIC” initiative – Empowering People and Inspiring Change. 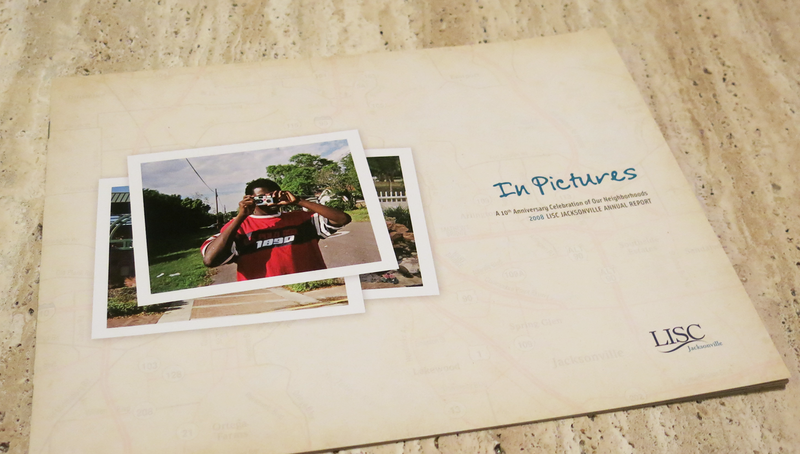 My designs featured photography of their neighborhoods and other efforts such as the KIPP school in Jacksonville.